Avoid Frozen Pipes | Monnit Corp.
before they become big problems! Maintaining an optimal temperature around your plumbing is essential to preventing water lines from freezing and breaking. Monnit wireless sensors can help you maintain a proper environment for your plumbing system. 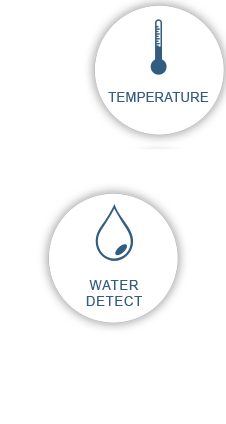 Receive alerts when the temperature around your pipes falls below ideal levels and detect water leaks early, before costly water damage occurs. Receive real time alerts via SMS text, email, or voice call if your store is in danger. Automated system monitors and tracks conditions for you, so you don't have to. There is nothing more valuable than your reputation - make sure it's protected. Unlike the majority of existing solutions, Monnit sensors are affordable and easy to use. Be aware of early warning signs that can prevent heating system failure to prevent frozen pipes. 24/7 access from anywhere via the Internet. Android and iOS apps are free to download. 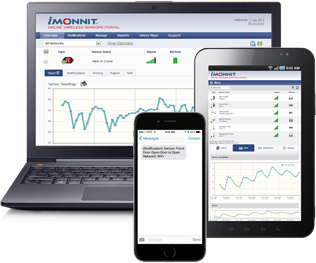 Monnit remote monitoring systems can be setup in minutes, and our intuitive UI makes managing your system easy. Our optimized RF communications platform provides over 2X the wireless distance of Wi-Fi. With over 50 different sensor types and more developed all the time, the sky is the limit for what you can monitor. 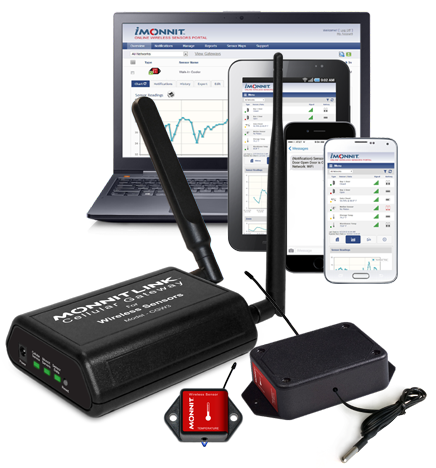 Monnit wireless sensors start at just $49 and basic online sensor monitoring and notifications are FREE! Monnit wireless sensors feature industry leading power management, allowing sensors to last for up to 10 years. Our wireless products are available in global frequencies (900, 920, 868 and 433 MHz). It's Easy To Get Started With Monnit Products and Services!